…decade of work to stop Canada’s asbestos trade, work that some argue will save tens of thousands of people from contracting deadly asbestos-related diseases in Canada and abroad. Michelle Lalonde, in a feature article for the Montreal Gazette, catalogues this herculean effort as well as providing an insightful portrait of one of Canada’s leading human rights activists. See: Kathleen Ruff: How one single-minded activist helped turn the tide on asbestos (Michelle Lalonde, (Montreal Gazette, 4 June 2016). “Kathleen Ruff is the true hero of this whole saga,” said Dr. Fernand Turcotte, one of Ruff’s longtime collaborators on the asbestos file and a professor emeritus of public health and preventive medicine at the Université Laval. “She is generous, principled, committed and just unstoppable,” said Steven Staples, vice president of the Ottawa-based foreign and defence policy think tank, the Rideau Institute. For the full article, click: Kathleen Ruff: How one single-minded activist helped turn the tide on asbestos (Michelle Lalonde, (Montreal Gazette, 4 June 2016). 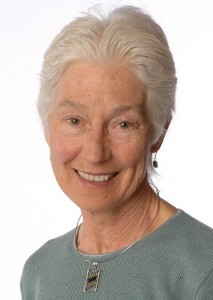 For more information on Kathleen Ruff’s brilliant and indefatigable human rights advocacy, go to her website: RightonCanada.ca.